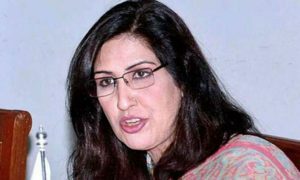 Pakistan People’s Party (PPP) leader and former deputy speaker of the Sindh Assembly, Syeda Shehla Raza drew ire of the social media users for tweeting her opposition to the inclusion of Dr Atif R Mian, who is an Ahmadi, in Prime Minister Imran Khan’s newly reconstituted Economic Advisory Council (EAC). The EAC comprises 18 members and is chaired by the prime minister himself. Globally acclaimed economists have been included in the team to provide advice over economic problems plaguing the country. Before joining the EAC, Mian served as professor of Economics, Public Policy and Finance at Princeton University, the director of the Julis-Rabinowitz Center for Public Policy and Finance at the Woodrow Wilson School and the only Pakistani to be considered among International Monetary Fund’s (IMF) ‘top 25 brightest young economists’. “But this hypocrisy, the appointment of a descendant of Mirza Ghulam Ahmad as a close adviser was unexpected from those who declared the State of Madina as an ideal,” she added. Many people took to social media to voice their criticism against her views. “..there’s a long trail of injustice and heart-rending discrimination that even the most distinguished amongst the most persecuted of all ‘minorities,’ continue to face,” wrote Kamran Rehmat, a Qatar-based Pakistani journalist. Similarly, journalist Bilal Farooqi expressed his disappointment at Shehla Raza’s resorting to using religion as a tool for political gain. “Disappointing to see a PPP leader using the religion card against rivals, dragging the already persecuted #Ahmadiyya community into a controversy for political gain,” he said. Former ambassador to the United States Hussain Haqqani framed his criticism as a question. “To manage the economy, is expertise more important or religious beliefs contrary to those of the majority?” he asked. یہ امت خرافات میں کھو گئی!!!! “She is the leader of a party that prides itself on protecting the rights of minorities. So disappointing,” opined one user. yeh us party kee leader hain jo yeh dawa karte hain ke hum aqleeaton aur minorities ke haqooq ke sab se bara muhafiz hain. So disappointing !! Another user expressed vexation at the comments and the condition of minority rights in the country. Extremely shameful tweet from Shehla Raza, a senior PPP Leader, I can expect such hateful tweets from Amir Liaqat, Orya Maqbool or Absar Alam but from PPP plate form completely unacceptable. One person, while talking about Mian’s nomination, focused on his credentials for the post than his religion. Anybody objecting to Atif Mian’s nomination to the economic advisory committee needs to have their head examined. He is an accomplished professional with impeccable credentials recognised internationally. A PPP supporter distanced herself from Shehla’s views, terming them as “disgraceful”. “This is not my ideology. This is not my party’s ideology. And this is not my leadership’s vision,” she said. “Historians will write how a nation celebrated the election of a Muslim as mayor of London but cried at the selection of a man known for his expertise as an advisor in their own country. Aap ka maqsad hai ke insaanon ko mazhab ki bunyaad par khud se door rakhna chahiyaay? Yeh aap ki soch hai? What a bloody shame!!! I have a lot of respect for you but I wasn’t expecting this bigotry from you. He is an expert in economics , period. I don’t care which religion he follows, not my business. However, a couple of hours later, Shehla Raza distanced herself from the tweet after receiving flak on social media. “During Election social media team was formed a member in light of words tweeted a statement ,which is ambiguous creating negativity. I condemned & fired all. Next I will run myself. I saw it now, busy in cabinet meeting. Accept my apologies,” she wrote. She also laid blame on ‘fake accounts’ setup with her name. “Three fake Facebook’s accounts are on my name which I reported many time.They are also spreading hate material and vulgularity. They demand gifts from my followers,” she said. Three fake Facebook’s accounts are on my name.which I reported many time.They are also spreading hate material and vulgularity.They demand gifts from my followers. However, many users did not buy her explanations. “BTW, Tweet is still on your timeline. should we treat this as your own tweet or SM (Social Media) team member?” said one user. “But this is your real account where you were trying to create mess about minorities in Pakistan,” wrote another.